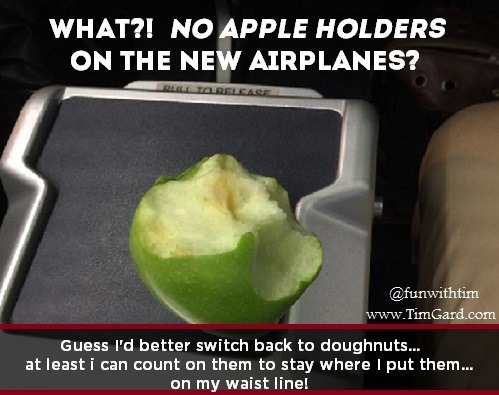 I’m on the new United 737-900 and horrified they did not include an apple holder for my seat in the new design. I actually had to hold it in my hand or set it down on the seat tray and then constantly worry it would wobble to the floor. I guess I’m going to have to switch back to a having a morning donut instead because you can count on a donut to stay where you put it!